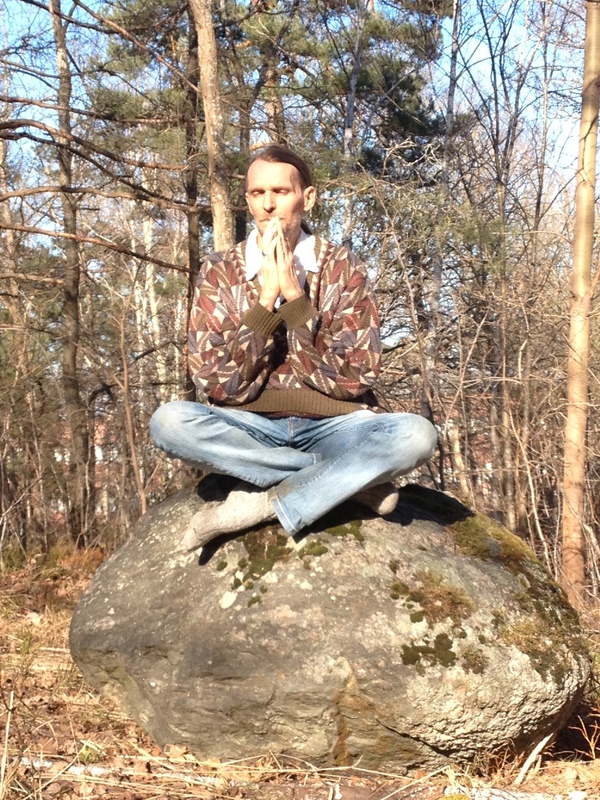 Giten is based in Stockholm, where he conducts individual consultations and individual therapy- and meditation programes, seminars, courses and education. Individual consultations with Giten is an opportunity to explore current questions in your life right now, for example in spiritual growth, relationships and creativity, which can create the possibilities for choice, change or acceptance. In these individual consultations, Giten begins with a 10-minute exploration of your chakra system and the development and balance between your inner man and woman to determine where the development potential is in your life right now. In these consultations, Giten uses his own unique combination of presence, discussion, intuition, listening and more than 30 years of experience of personal and spiritual guidance to create insight about how your present situation relates to your spiritual development – and to see what stands in the way of being in contact with your own authentic being, your inner source of love and truth. In these consultations, Giten will use awareness methods from The Psychology of Being, which he has developed based on 30 years of experience in working with people, to help people in their spiritual growth. Giten’s new book Presence – Working from Within. The Psychology of Being describes this therapeutic method. This individual therapy- and meditation programe consists of a series of 10 individual consultations once a week with Swami Dhyan Giten. It is an opportunity to receive the prolonged time, support and personal and spiritual guidance, which can create deep insights into your own authentic inner being, in your own inner source of love and truth, and to develop the three life areas in your life, your meditation and spiritual growth, your relationships and your work and creativity. When we develop the three life areas in our lives, and they function in balance and harmony, it create a loving, creative and fulfilling life. This individual development programe can support all aspects of your life: inner growth, meditation, awareness, love and relationships, work and creativity, self-confidence, feelings, intuition, truth, communication and health. What does it mean to be present to ourselves and to another person? How can we develop our presence so that our presence and intuition become a source of love, joy, acceptance, understanding, healing, truth, wisdom, silence and creativity in the contact with another person? The most important therapeutic capacity is the ability to be present with an open heart and to be grounded in our inner being, in the authentic self, in the meditative quality within, through which we can meet another person. In this supervision- and education program in The Psychology of Being, we will explore a new dimension of meditative therapy, explore the difference between the personality, the psychological “I”, and the inner being, the authentic self, both in ourselves and in another person, and explore how to bring the meditative presence into the therapeutic process. We will also look at many technical skills during the process of supervision and education. 1. Presence – the inner “yes”-quality, developing a meditative presence. 2. Intuition – Developing a trust in ourselves and in our intuition, the inner source of love, truth and wisdom. 3. An accepting attitude – Developing an understanding for the healing strength in an accepting attitude. 4. The Seven Levels of Consciousness – Developing an intuitive sensitivity for the seven levels of the human consciousness. 5. Relationships – Developing an understanding for how relationships generally works, and with specific emphasize on the therapist/client-relationship. 6. The Inner Man and Woman – Developing an understanding for the active and creative male side and the watchful and intuitive female side. 7. Creativity – Developing an understanding for how the three life areas, meditation, relationships and creativity, relate to each other and create a loving, creative and fulfilling life when they are developed an function in balance and harmony. 8. Groups and group dynamics – The awareness components of working with groups of people or an organization, so that the whole becomes larger than the separate parts. Deep within ourselves is the inner being, the authentic self, the inner silence and emptiness, where we already are one with life. This program is a beautiful and mystical journey into our inner being, where Giten uses silence, words and awareness to help us rediscover our authentic inner being, the capacity to surrender to life, where we find a joyful, alive and expanding relationship to Existence. A second emphasis in this program is to explore how our inner being expresses itself in relationships and creativity. This program is an invitation to people who have sufficient life experience to discover their own authentic inner being. In his past lives, Giten has travelled through many spiritual paths. In this programme he uses philosophy and spiritual methods from many traditions – Vedanta och Upanishads, Patanjali och yoga, Buddhism, Sufism, Christianity, the seven chakras and seven energy bodies, modern psychology and Classic Eastern methods for meditation and awareness to guide the individual seeker in a way that relates to the seeker’s own spiritual path from path lives. This makes it easier to take new steps on the spiritual journey. It is a invitation to the sincere seeker of truth. Price: 10 individual sessions with Giten/4.500 SEK – 670 USD. These sessions is 1 to 1,5 hours. The program can be designed for 1 sessions/week up to 1 session/month for people who live outside of Stockholm. Inbetweeen the sessions practical exercises and meditations can be recommend to allow the insights gained to become integrated into our live. PLACE: 15 minutes from Stockholm C.
RECOMENDED READING before the program: Giten’s book “The Silent Whisperings of the Heart – An Introduction to Giten’s Approach to Life” (Lulu.com, 2012) or “The Language of Silence – From Darkenss to Light” (available as free eBook on Obooko.com).